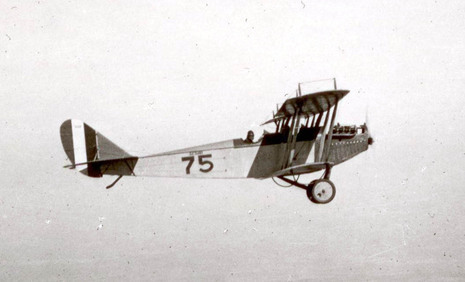 Lindbergh's first solo flight did not come until May 1923 at Souther Field in Americus, Georgia, a former Army flight training field to which he had come to buy a World War I-surplus Curtiss JN-4 "Jenny" biplane. Even though Lindbergh had not had a lesson (or even flown) in more than half a year, he had nonetheless already secretly decided that he was ready to take to the air by himself. 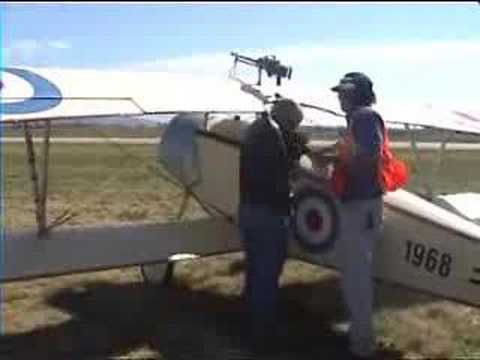 And so, after just half an hour of dual time with a pilot who was visiting the field to pick up another surplus JN-4, Lindbergh flew on his own for the first time in the Jenny that he had just purchased there for $500. After spending another week or so at the field to "practice" (thereby acquiring five hours of "pilot in command" time), Lindbergh took off from Americus for Montgomery, Alabama, on his first solo cross country flight, and went on to spend much of the rest of 1923 engaged in virtually nonstop barnstorming under the name of "Daredevil Lindbergh". Unlike the previous year, however, this time Lindbergh did so in his "own ship"—and as a pilot. A few weeks after leaving Americus, the young airman achieved another key aviation milestone when he made his first nighttime flight near Lake Village, Arkansas.